NET WORKS. 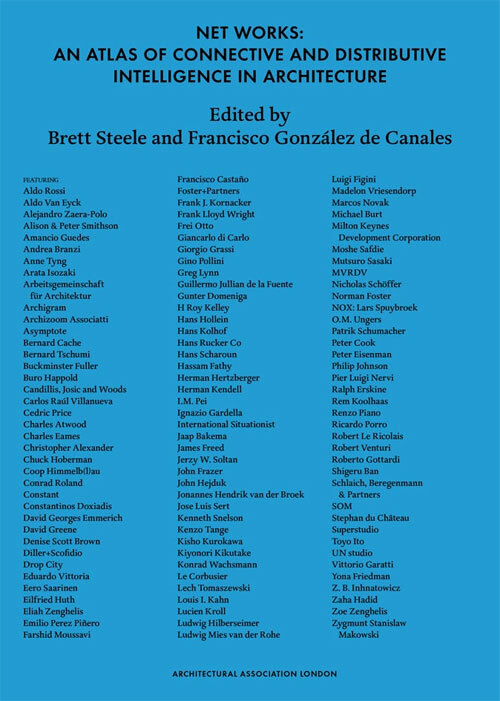 An Atlas of Connective and Distributive Intelligence in Architecture is the second volume of a trilogy by Brett Steele and Francisco González de Canales exploring the changing conditions of architecture in relation to modern technologies and experimentation. 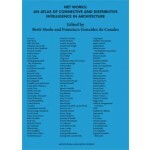 The book surveys the relationship between architecture and networks - as a way of thinking, as an organisational diagram and as a pedagogical tool. The atlas documents a longer and deeper history of the modern connective intelligence in architecture. The aim of this book is to unfold the genealogy of the engagement by architects with the network and machines of modern architectural life, showcased by more than 100 paradigmatic examples, presenting a pre-history of today’s architectural cultures.